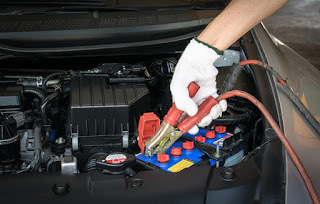 Keyes Honda: Should You Winterize Your Car in Los Angeles? Should You Winterize Your Car in Los Angeles? Daylight Savings Time is over, and we’re busy making adjustments -- getting our sleep cycles back to normal, changing the batteries in our smoke detectors, and resetting 249 clocks. All of this reminded the Keyes Honda team to give you a little reminder: it’s time to winterize your car. Before you look at us funny, hear us out. In other parts of the country, changes in the foliage or drops in the temperature are handy reminders to take care of automotive essentials. Since Los Angeles isn’t prone to those same changes, it’s easy to neglect Honda service. Even though we won’t be dealing with snow anytime soon, there are still some maintenance items to consider. Warm weather contributes to battery self-discharge. That means that your battery is slowly and silently losing power, until one day it simply stops working. Have your battery checked and serviced regularly so you don’t end up needing a jump or an expensive tow. Tire pressure changes with the temperature. Even though that pressure drop won’t be as pronounced, it’s still present; you lose pressure with falling temperatures, so check your tire pressure and inflate accordingly. Your gas mileage, traction, and stopping power will all benefit. This is also a good time to visit your Honda dealer for tire rotation, or new Honda tires if the ones you’ve got now are badly worn. Need more reasons to visit your Honda dealer for service with OEM parts? Here are a few. For all your Honda parts and service needs, simply visit Keyes Honda at 5905 Sepulveda Blvd in Van Nuys, CA. We’ll keep you safe and on track no matter what the season!